I've had a lot of questions on the blog + instagram lately about my skin and hair products, so I thought it would be fun to show you a few of my favorite things! Let me start by saying I LOVE beauty products and hair care SO much. It's so fun to try out new lines and products, but once I find something that works well, it's hard for me to stray. NARS has always been one of my favorite brands and their lipgloss, blush, bronzer and tools are some of my daily go-tos. I must say, I'm not a huge fan of using eye shadow every single day, mainly because I've never felt like I'm super talented at creating a pretty eye, but I do love to play around with them. This Naked palette is perfect for daily wear or a bold eye for a night out. Thank you so much for stopping by, x. This was really fun. Your hair and makeup always look fabulous. Could you do a post on your favorite jewerly? Great list! 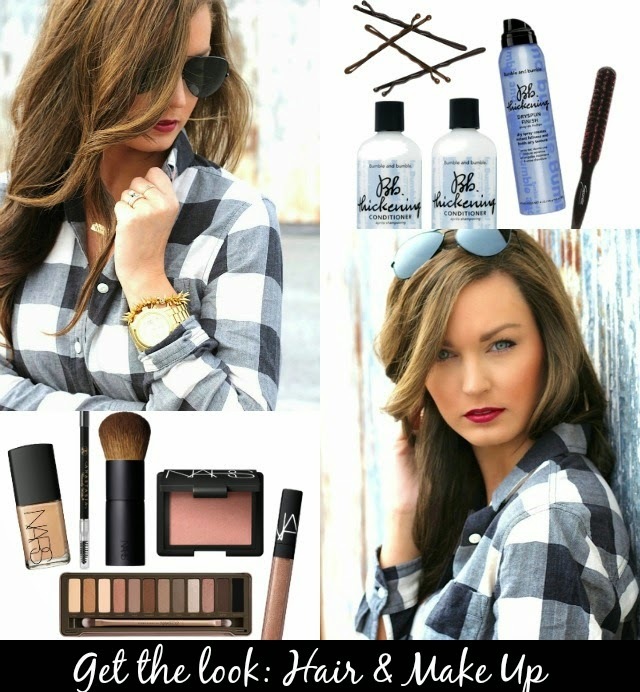 Your hair and makeup always looks great - can't wait to try some of these out! ooo! I love that Urban Decay Naked palette. Such great colors for fall!! This lip color looks dynamite on you! Don't you just love when you find the perfect product and can rely on it?! ! And if you have major problems, I do as well because I like everything looking like new as well! People think I'm crazy and ridiculous for it but I don't care! Btw, I just love your hair! It is gorgeous!